Alfred is a relatively new launcher app for the Mac, and the tool has received a warm welcome from the Apple community since it launched in beta form last year. Today the development company behind Alfred, Running with Crayons, has launched Alfred 1.0, and the update brings with it many new features. While Alfred offers many of the same launching abilities as other apps, like Quicksilver and LaunchBar, version 1.0 reinforces that Alfred is way more than your typical launcher tool for the Mac. It’s with immense pride and excitement that we released version 1.0 of Alfred today. A major milestone for us, having spent the past two years creating this app and getting to know the awesome Mac community that surrounds us. Alfred’s Powerpack has received a huge upgrade in version 1.0, with plenty of tools added for quickly launching websites, executing script-style actions, opening files, running system-level commands, and much more. The main features in Alfred 1.0 all make navigating and working on your Mac easier, and Running with Crayons has taken it to a whole new level with Global Hotkeys. You can assign specific commands for apps, files, and actions that can be executed with a simple keyboard shortcut anywhere on your Mac. The possibilities are nearly endless with Global Hotkeys. If you have an app or an action that you interact with regularly, you could create a quick shortcut that launches that app or action with a few keystrokes. 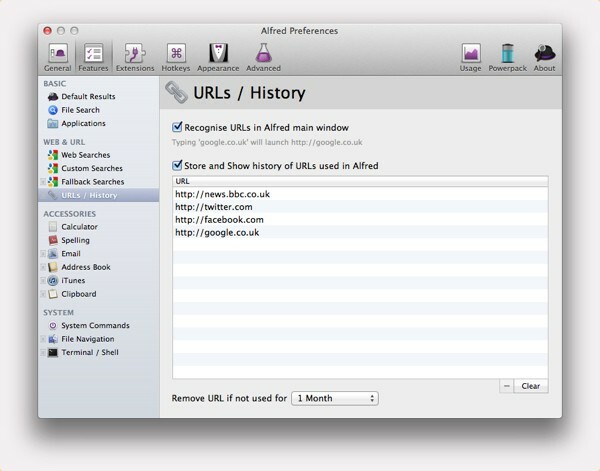 You can also turn on URL History in Alfred 1.0 to have quick access to your recently visited websites, exactly like the Clipboard History feature. 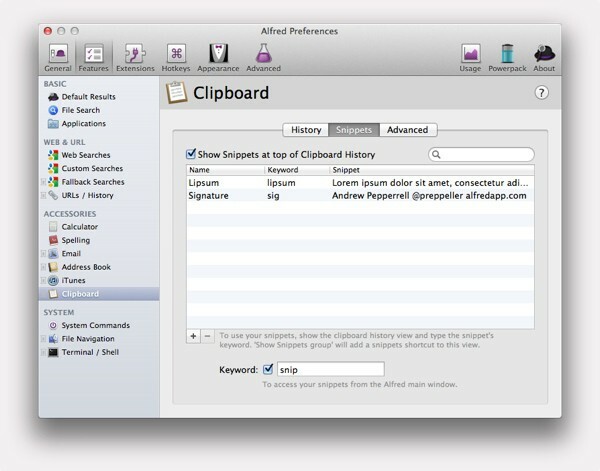 Like TextExpander, you can save clips in Alfred for quickly launching things, and these shortcuts can be saved in the new Snippets section. With support for AppleScripts and Extensions, Alfred can be used to control nearly every facet of OS X, not to mention the integration with native apps like iTunes, Address Book, Calculator, Dictionary, and Mail. Alfred 1.0 also boast many overall speed and reliability improvements. Existing users can grab the update for free, while Powerpack users should have a new license sent to their email. 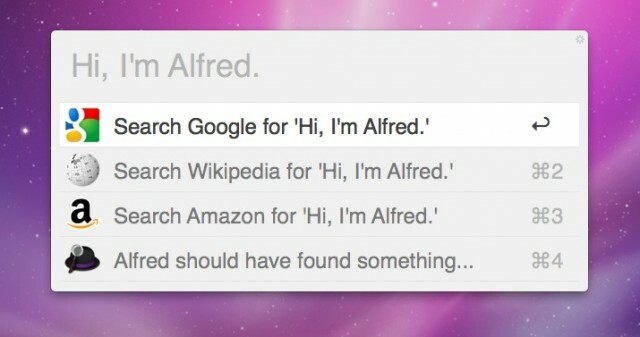 The free version of Alfred 1.0 has been submitted to the Mac App Store and should be available there soon. Running with Crayons is currently offering Powerpack licenses for Alfred 1.0 at a discounted price of £12 (about $19 USD). After next week, the price will go up to £15 (about $24 USD). There is also a different price for a family license (installable on 5 computers), and a “Mega Supporter” license for lifetime Powerpack upgrades.